As the UK draws closer to March 29th and with Brexit still in deadlock, the only thing to be certain of is uncertainty. There is now much debate about whether we will actually leave the EU on that date, or even leave at all. Some reports even claim that Theresa May will delay and leave it till June to avoid a no deal Brexit, while many are still campaigning for another referendum. Certainty is generally better for markets, even when certainty looks bleak. 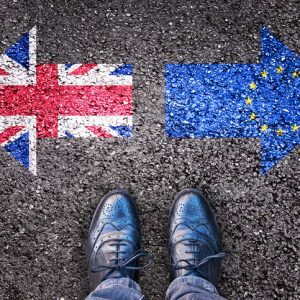 The impact of Brexit on the FTSE 100 index remains difficult to predict, as the Government continues its rally to get a satisfactory deal agreed at the 11th hour. Some reports are claiming the UK economy is almost grinding to a halt. Last November, the OECD (Organisation for Economic Cooperation and Development) predicted 1.4% economic growth, but has now warned that a no-deal Brexit will likely see the UK in recessionandgrowth fall below 1%, even if a deal is finally reached. To put this in context, it will be the first-time economic growth has dropped below 1% since the financial crisis. Uncertain of the future, UK companies have been tightening their belts, reluctant to invest. Big businesses have had to start putting contingency plans in action in the absence of any clarity over a deal. The Independent recently reported a long list of companies that have had to make some very difficult decisions, with 10,000 car manufacturing jobs currently at risk, due to a lack of clarity over future trade deals. Ford and Jaguar Land Rover have made job cuts, while Honda has announced it will close its Swindon plant. BMW mini has warned it may cease production in Oxford, while Toyota boss Johan Van Zyl has also warned jobs are unsafe until transparency over Brexit is achieved. After a tough Christmas period, consumer spending rose in Januaryand stockpiling is supporting factories, at least in the short term. However, the trade deficit has increased, widening the margin between exports and imports, despite a drop in sterling which normally makes UK goods more attractive to overseas markets. Trade wars between the US and China have also had a negative impact. The future of the pound is also difficult to predict, as experts claim that if we crash out of the EU with no deal it may drop by around 10%, but if a deal is struck the value of sterling might rise. An increase in consumer spending on food in February may suggest that consumers have started stockpiling in anticipation of possible price increases on everyday groceries. Service industries have also taken a hit, making the most significant staff cuts for seven years as many people try to save money. As the Brexit effect takes hold, the Government is under more pressure than ever to resolve the deadlock. Yet despite this unprecedented political situation, the FTSE 100 has performed amazingly well in recent months, gaining 6%in just two months, and offering a dividend yield of 4.4%. If the current pattern continues, we could even see a record high. Incredible though it seems, there may actually be opportunities to gain in the current climate, but seek professional advice before investing, and keep close tabs on your portfolio, as the UK’s future is hanging in the balance. Next Article Next post: What Is Patch Management And Why Is It Important?